Students who major in computer science, nursing, engineering and other in-demand fields at Nebraska’s public university and state colleges could receive state scholarships under a bill heard Feb. 5 by the Education Committee. 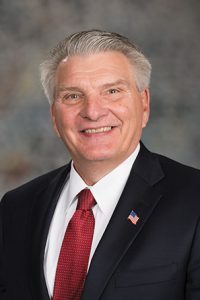 Introduced by Gering Sen. John Stinner, LB639 would provide scholarships to eligible students whose declared majors lead to a high-demand, high-wage, high-skill career as designated by the state Department of Labor. The department projects more than 34,000 openings in those “H3” occupations in Nebraska every year through 2026, Stinner said, and the state’s colleges and university cannot produce enough graduates to keep up. At the same time, he said, many high-performing high school students leave Nebraska to attend college. 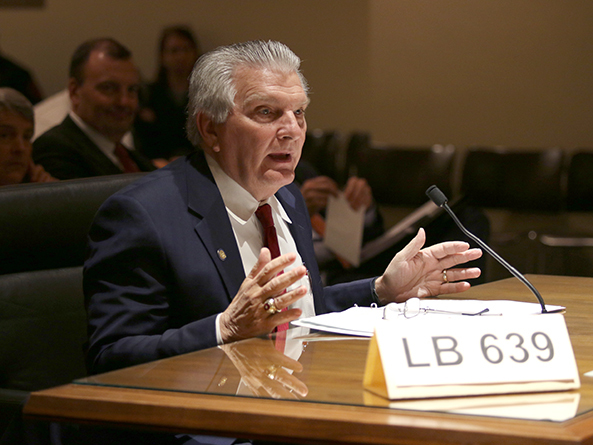 LB639 would encourage more of them to stay and contribute to the state’s economy after they graduate, Stinner said. Nebraska residents who score at or above a certain cutoff score on a college admission test and agree to complete an internship at a Nebraska-based business before graduating would qualify for the scholarships. Students would need to be enrolled in a postsecondary educational program leading to a first bachelor’s degree, associate degree, certificate or diploma. They also would need to maintain a 3.0 GPA on a 4.0 scale. State funds would comprise up to 30 percent of any award. Postsecondary educational institutions would provide the remainder of funds awarded under the act. Under LB639, the Legislature would appropriate $10 million in fiscal year 2019-20 to the program, another $20 million in FY2020-21 and $30 million each fiscal year after that. Stinner said the proposal’s cost likely will prevent it from passing this session. University of Nebraska President Hank Bounds testified in support of the bill. He said Nebraska is among the bottom 10 in the nation in state grant aid to students and, on a per-student basis, first in tuition remissions, in which a university waives tuition for high-achieving students. Many gifted high school graduates leave the state because other universities can offer them far more financial aid, Bounds said. “A significant state investment in financial aid would put us in a more competitive position to recruit and retain Nebraska’s best and brightest young people,” he said. James Blackledge, chairman and CEO of Mutual of Omaha, also testified in support. He said technology jobs comprise 20 percent of Mutual of Omaha’s workforce, and many of those workers will retire in the coming years. “Our demand for tech talent and that of other companies in our state cannot be met without strategic initiatives such as LB639 aimed at developing and retaining a talented workforce in Nebraska,” Blackledge said.